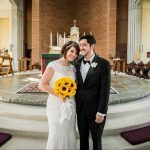 Floral Trends, DIY Wedding Ideas, Flower Tips – Whole Blossoms Our Flowers Make Memories Memorable! Now’s a good time to remind you that many floral varieties require a water source to keep them from wilting quickly if their stems are not sitting comfortably in water. 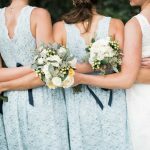 Timing is everything with all aspects of weddings, so you want to be sure that the bouquets are stored in the perfect conditions before the wedding so that they’re fresh, quenched, and beautiful for the three to five hours of your celebration. 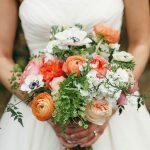 The detail of any flower’s or bouquet’s wellness could very well determine the style of bouquet you want and the types of flowers you will include in it. Perhaps you can easily supply a good water source for notoriously thirsty flowers, such as hydrangeas, which should be kept in water until the moment they’re attached into a bouquet and the stems given a small water capsule attachment as an all-day water source. 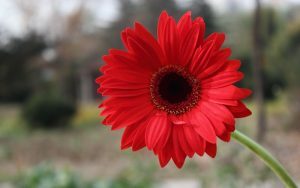 Or maybe you’d rather not deal with water issues, so you’ll choose hardier flowers that can go on a few hours without water. 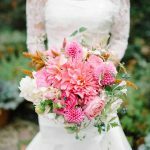 The heat on your wedding day is also a factor in the types of blooms you’ll choose, and how you’ll keep your singles, bunches, rounds, or other bouquets cool and comfortable until the moment they’re needed. 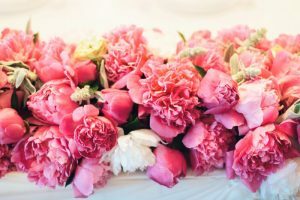 Before the wedding, as you dress and pose for photos, your single flowers and ribbon-tied bunches should be placed in vases with an inch of two of water. A low-set amount of water will keep handle wraps from getting soaked. Don’t shock flowers with ultra cold water. Make sure the vase water is just on the cool side. No need to add flower food to vases that hold your wedding day bouquets. These powdery chemicals shouldn’t get on your hands. 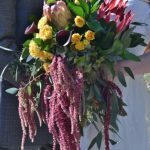 Take any measure to keep bouquets, boutonnieres, and corsages, cool and fresh during transportation to the ceremony site and during waiting time. 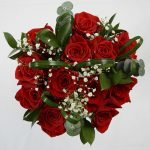 Use an oasis, which is a spongy water source used by florists, to keep the stems immersed in a portable water source during transport and waiting time. Oversize thermal coolers are ideal for transporting and storing bouquets. Arrange for your site manager to clear out a shelf in a walk-in-refrigerator for the pre-wedding storage of your bouquet and corsages. 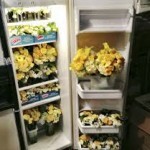 Be sure that bouquets are well spaced on the refrigerator shelves so that they do not bump into and break each other. Do not store your flowers in mini-size or travel refrigerator, as they simply are not large enough. Bouquets fit better in a refrigerator when standing upright in individual, secure vases. This elevation protects a round. 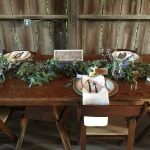 Singles and bunches can double duty as table centerpieces, so set out vases to hold you and your bridesmaids’ bouquets on guest tables. Preserve the round shape of a bunch by propping it up in a tall, wide-mouthed vase. A grouping of three to five singles of bunches can serve as décor on the cake, gift, or guest book tables. Singles, bunches, nosegays, and pomanders can be set on mantles and windowsills as (free) extra décor for the site. 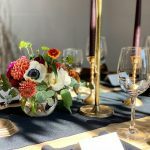 If you are planning a wedding or social event, we at Whole Blossoms Wholesale Flowers would love to provide you with the freshest flowers available. We offer FREE SHIPPING and incredibly low prices. Please visit our website at www.wholeblossoms.com.